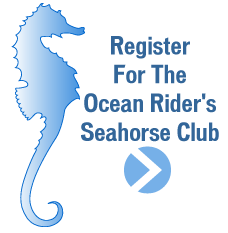 There are numerous benefits to joining the Ocean Rider Seahorse Club. Membership is free and enables you to use the features of the web site like posting questions for our on-line marine expert to answer in the Seahorse Life and Care Forums, shopping on-line, taking advantage of membership promotions and other features. You will find just about anything and everything on seahorses at seahorse.com. Just check out the Frequently Asked Questions (FAQ’s) for many answers on seahorse care, aquarium needs and seahorse info. Registered Members are entitled to frequent shopping discounts, the ability to participate in our Message Board Forums, and the ability to participate in other on-line features like the Photo Gallery Contests. 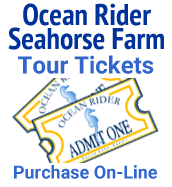 Become a Ocean Rider Club Member by Joining Seahorse.com – Register Today! You may register to at any time. When you visit the seahorse.com, your basic user information will be available to you should you wish to review your previous purchasing history, invoices, your shopping cart items, or if you wish to change your user information. Shop On-line for your favorite seahorses, feeds, and accessories. We also have an expanding inventory of other aquatic life. Seahorse.com is owned and operated by Ocean Rider, Inc. of Kailua Kona, Hawaii. We will always emphasize that all of our products, services, and advice are conservation-minded and ecologically aware. Ocean Rider, Inc. follows strict good farming practices. We are an aqua-farm and do not harvest seahorses and other aquatic life from the sea. For current and potential future owners of Ocean Rider Farm Raised Giant Tropical Seahorses, you will be impressed with the superior adaptability, survivability, and ease with which our seahorses and other marine life are raised and cared for by Ocean Rider. Because these animals are of such a superior quality to wild-caught animals, when raised and maintained in controlled environments such as tanks and aquariums, we have created the Forums / Message Boards where people with these animals can share their experiences with one another. The forums are moderated by experienced seahorse enthusiasts. Please review the purchase policy, the web sites terms and conditions and privacy statements.